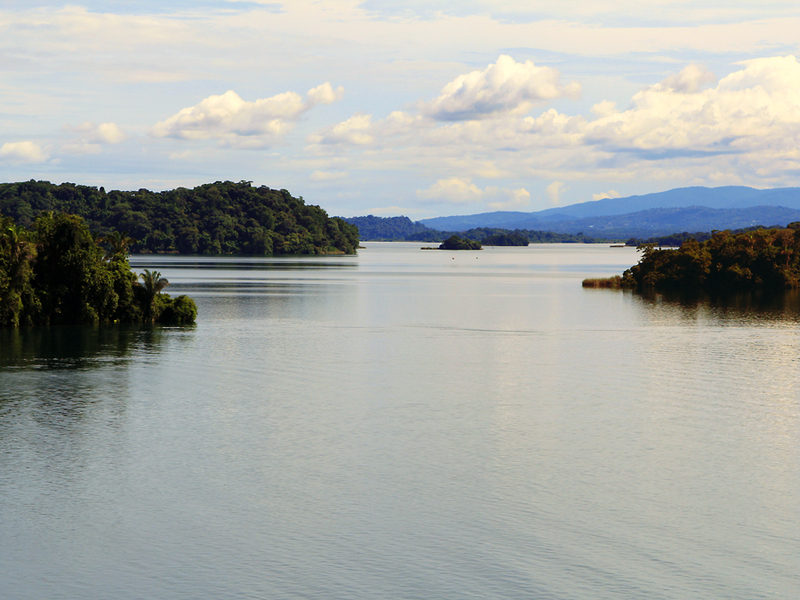 The first major effort to build an all water route through Panama began with the French in 1880. However, financial issues and diseases (malaria and typhoid) caused the initiative to fail. 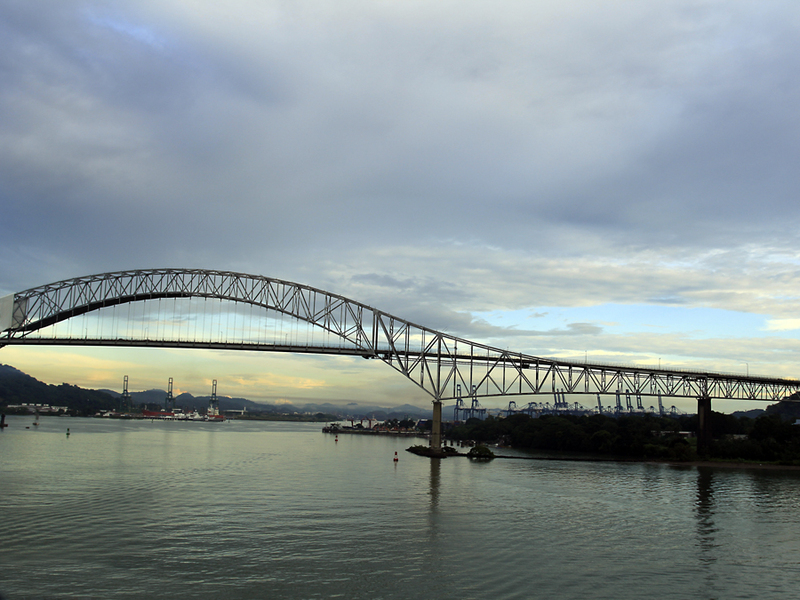 After its independence in 1903, Panama negotiated an agreement with the United States for the construction of the Canal, which the U.S. completed in August 1914 and then managed the waterway until 1999. 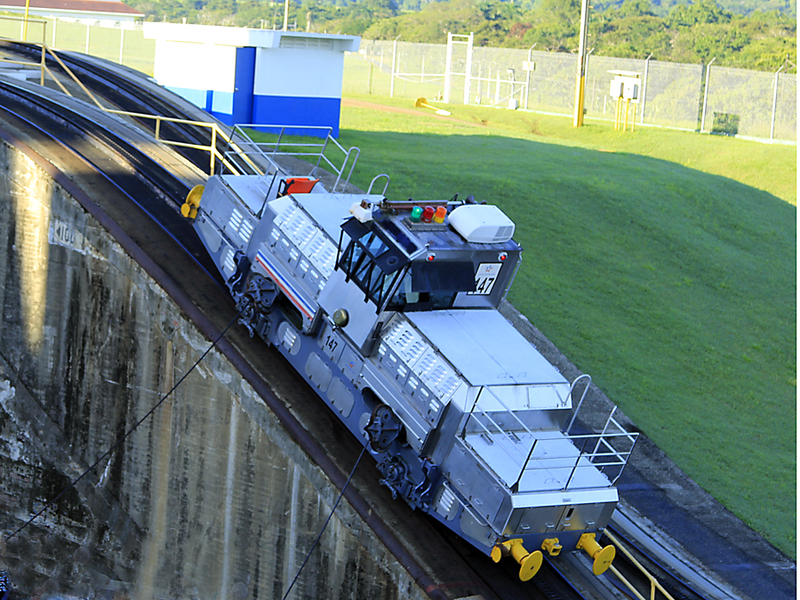 On December 31, 1999 Panama assumed the full operation of the Canal in compliance with the Torrijos-Carter Treaties negotiated with the U.S. in 1977. 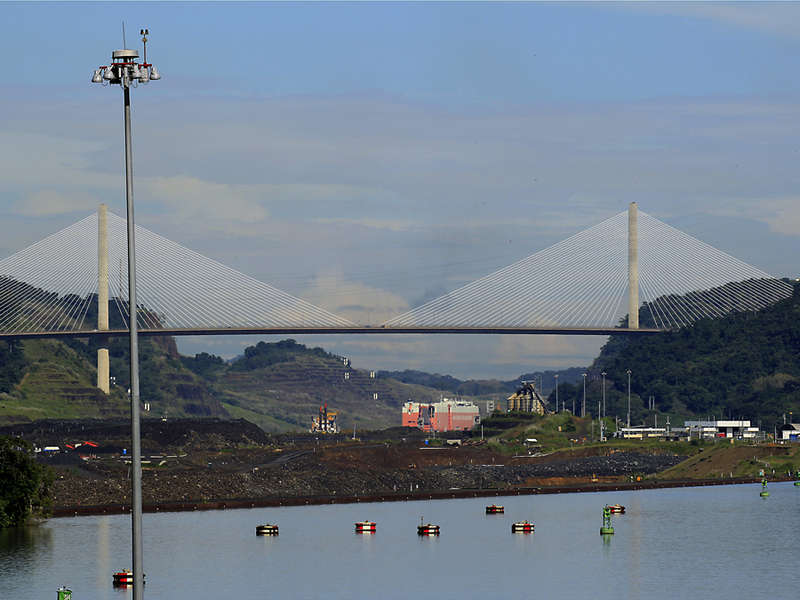 The waterway is now managed by the Panama Canal Authority (ACP), which is an autonomous government agency. 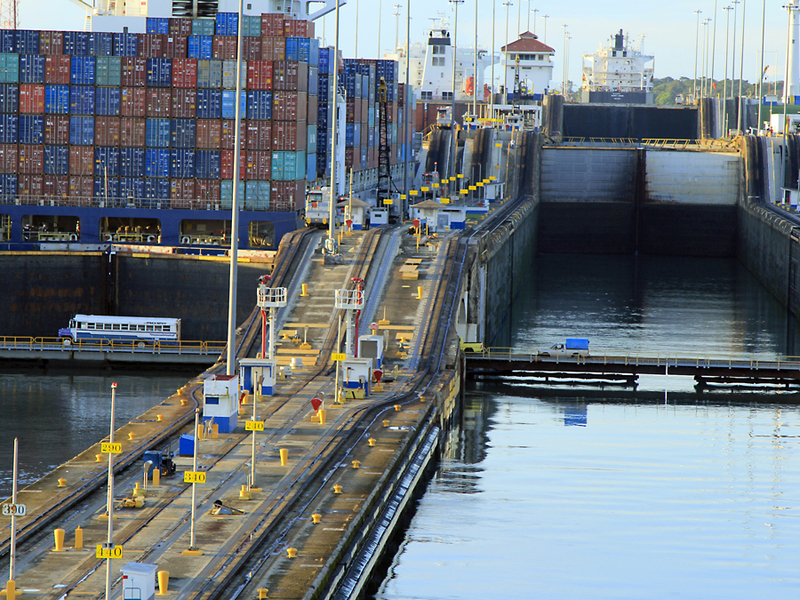 Since its opening in 1914, more than one million ships have transited the Canal. The millionth ship passed through the Canal in September 2010. 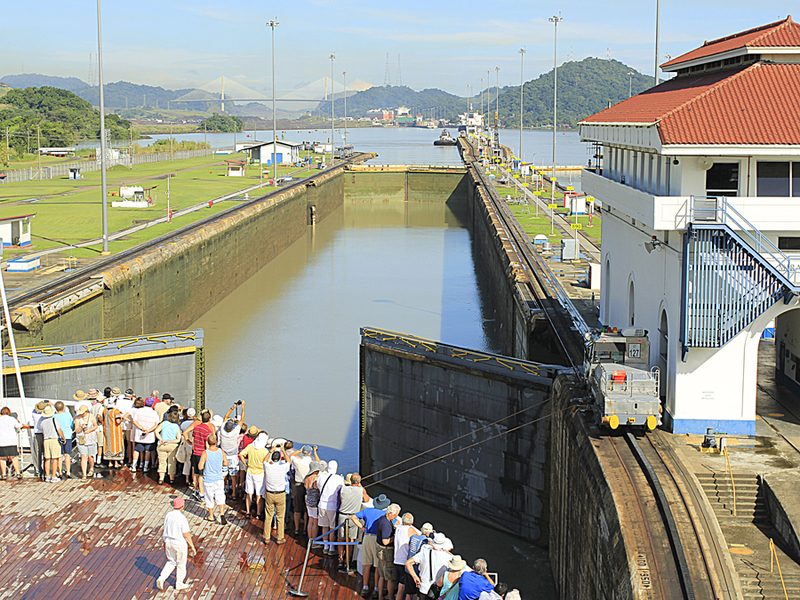 7 AM – Waiting in the queue to enter the first set of locks (Miraflores Locks) from the Pacific side. 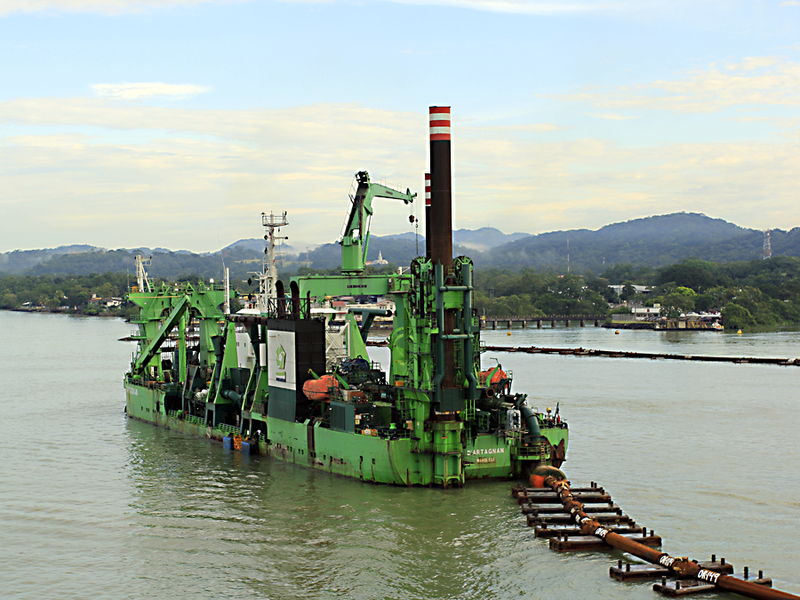 One of the original dredges used in the early 1900’s seen as we begin our entrance toward the first chamber of the Miraflores Locks. Approaching The Bridge of the Americas as we move closer to the locks. 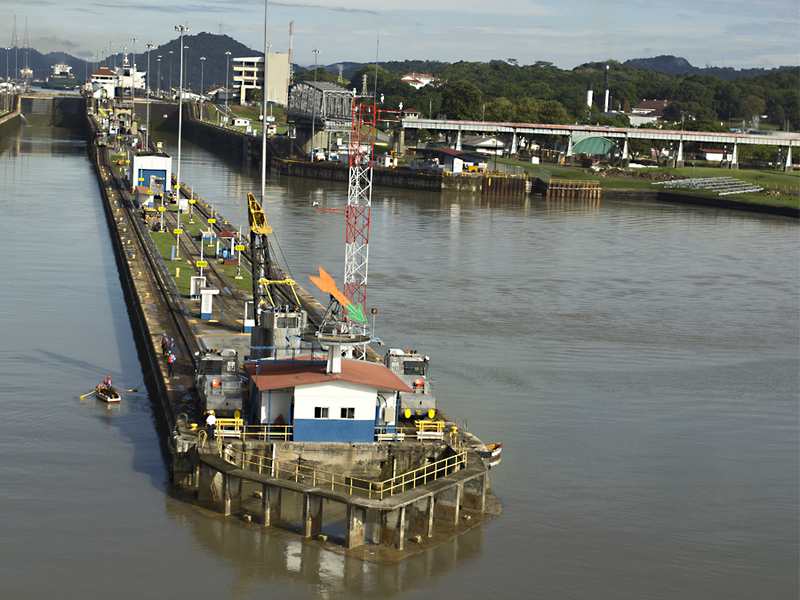 The Miraflores Locks just ahead. will slowly pull us forward and through the chamber to the first set of locks. One of the four “mules” tied with cable to each corner of the ship, two on each side of the bow and two on each side of the stern. Having been pulled to the end of the first chamber we now wait in front of the first set of locks which will open when the water in the second chamber (behind the two large gates) is pumped into our chamber. This will raise the ship approximately 27 feet after which the gates will open and allow us to move into the second chamber. The ship is now raised 27 feet from its original depth and the water in the second chamber has been lowered an equal amount as the gates (locks) begin to open. 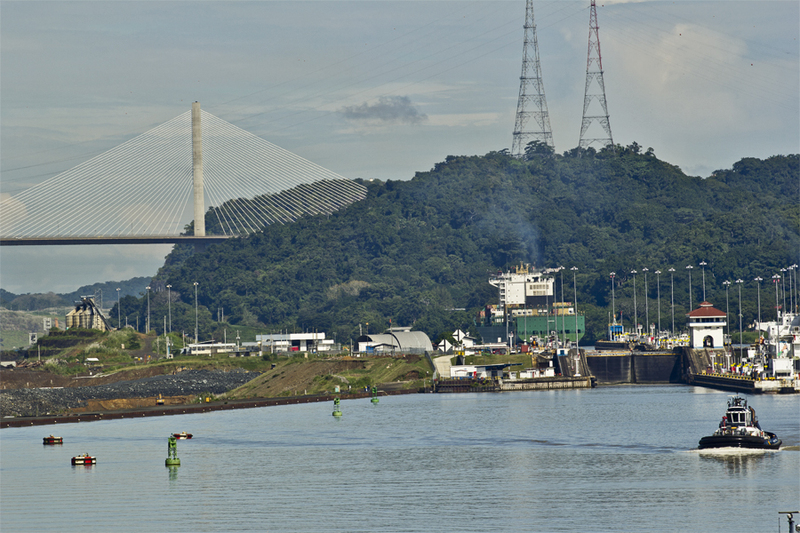 to the Pedro Miguel Locks less than a mile ahead. 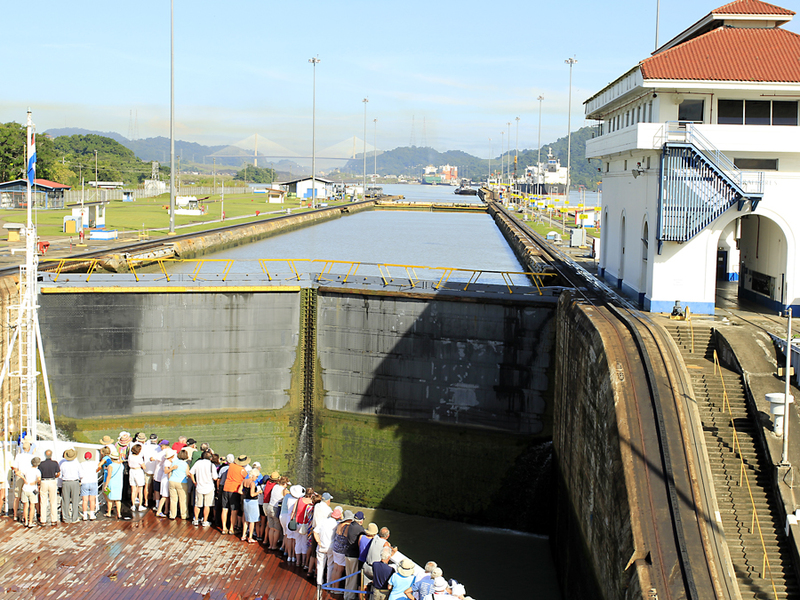 The Pedro Miguel Locks. The smallest of the three locks on the Canal. 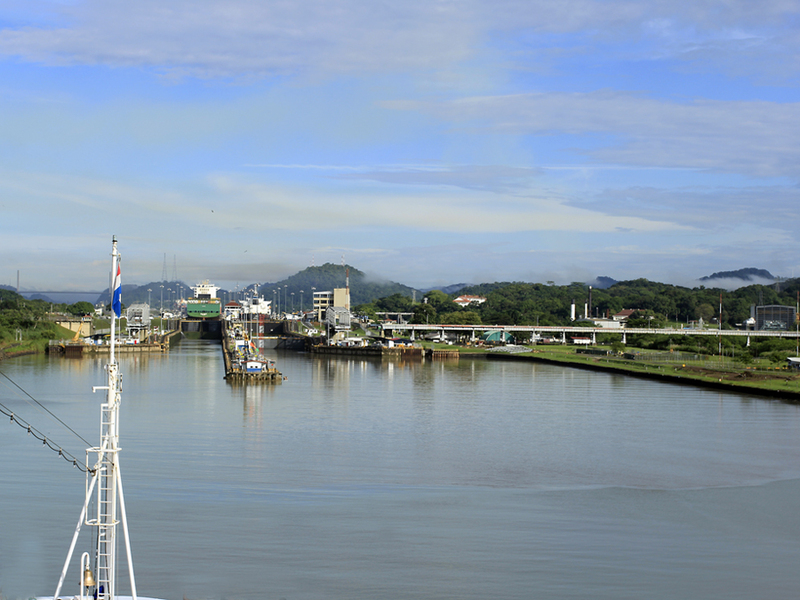 Forty miles beyond the Pedro Miguel Locks we pass through the Gatun Locks, the final set of locks before entering the Caribbean Sea and ultimately the Atlantic Ocean. 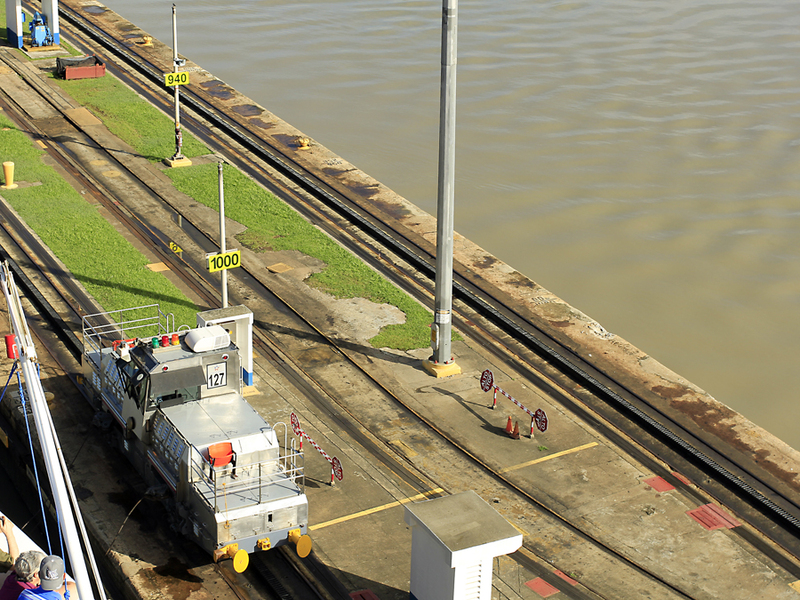 A close-up of one of the “mules” pulling us through the Gatun Locks. Passing the many islands during the 59 mile sail from the Pacific to the Atlantic Ocean. 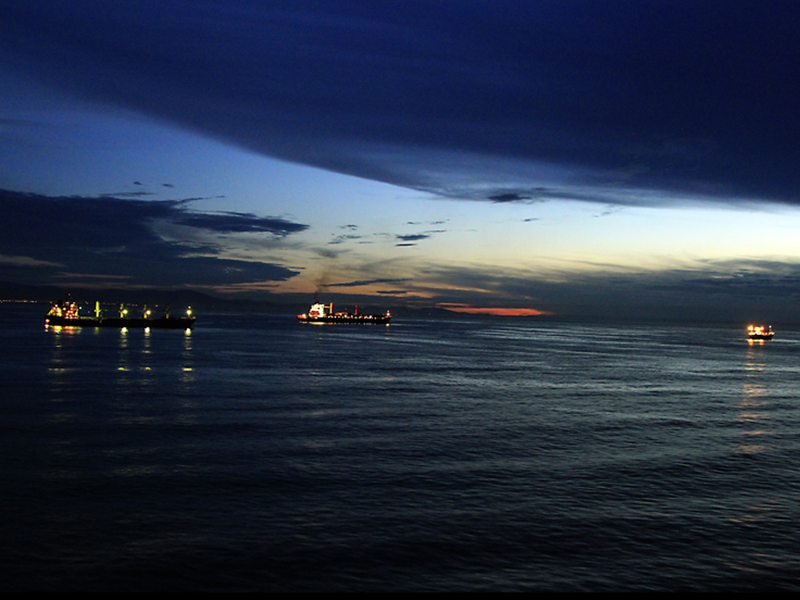 Approximately a nine hour sail.